Join the “Day of No Clutter” Blog Tour on March 6! We all have some degree of clutter in our lives. For Eve Schaub, a Vermont mother and wife, hers was hidden behind the door of a 567-square-foot room in her house. The space was packed floor-to-ceiling with stuff, from the bizarre to the completely useless, because Eve couldn’t bear to part with anything. 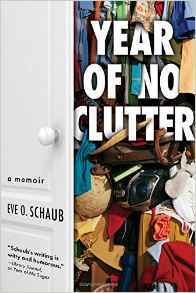 In her new memoir, Year of No Clutter, Eve shares her family’s quest to clear out the clutter in 365 days. Blogs across the country as inspiring other families to ditch their clutter by celebrating the release of Eve’s book and inviting others to try and win their own copy of the book! But what Eve discovers isn’t just old CDs and outdated clothing, but a fierce desire within herself to hold on to her identity. Our things represent our memories, our history, a million tiny reference points in our lives. If we throw our stuff in the trash, where does that leave us? And if we don’t…how do we know what’s really important? Everyone has their own Hell Room, and Eve’s battle with her clutter, along with her eventual self-clarity, encourages everyone to dig into their past to declutter their future. Year of No Clutter is a deeply inspiring–and frequently hilarious — examination of why we keep stuff in the first place, and how to let it all go. About the Author: Eve O. Schaub graduated from Cornell and Rochester Institute of Technology. She has written for Vermont Life and Vermont Magazine, among others. During her family’s year of no sugar, Schaub blogged regularly and was often a guest on WAMC, New York’s NPR affiliate, as well as a regular visitor to Vermont Public Radio. She lives in Vermont with her family. 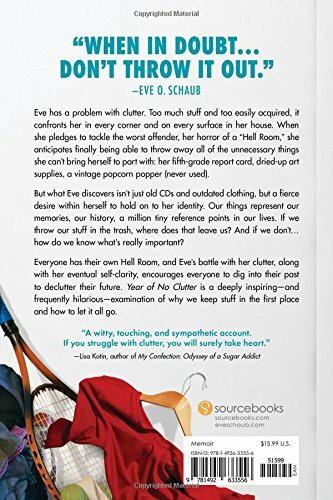 Year of No Clutter is more than the tale of how one woman organized an entire room in her house that had been filled with pointless items, it’s a deeply inspiring, and frequently hilarious, examination of why we keep stuff in the first place, and how to let it all go. 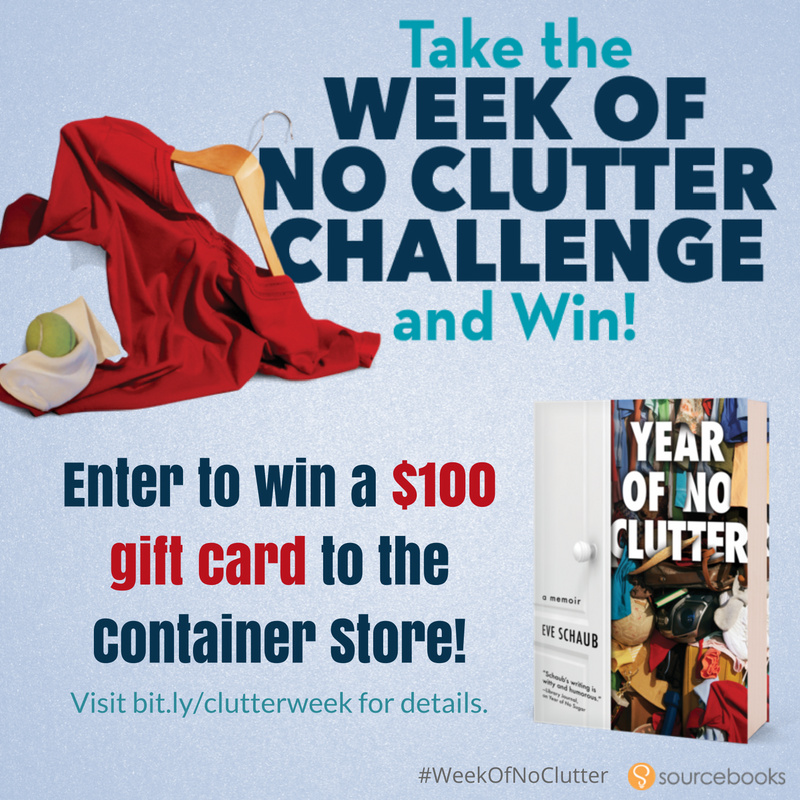 Win a Copy of “Year of No Clutter”! Participating blogs are featuring a Rafflecopter widget with the chance for readers to win one of five copies of Year of No Clutter! Tackle Your Own Clutter! Go to this link to sign up for the Week of No Clutter (March 7-14), a daily e-newsletter with tips, advice and videos on how to start conquering clutter this spring!